Applications for the Spring 2019 Travel Awards are now open! 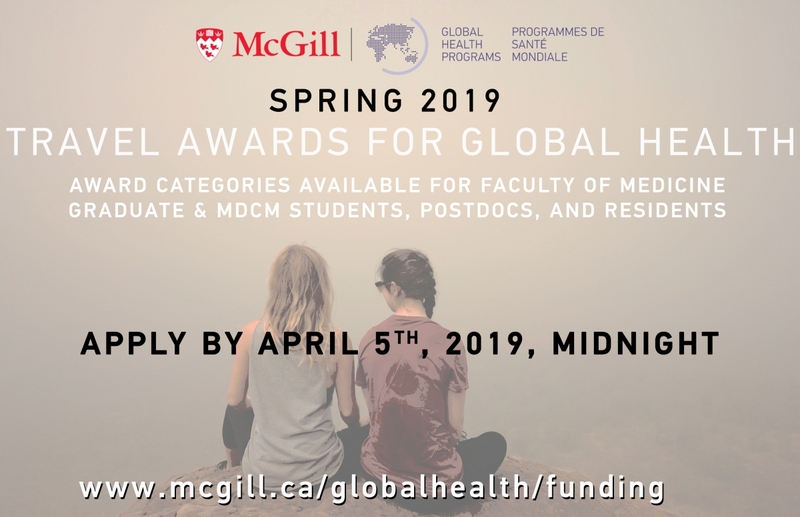 The McGill Global Health Travel Awards program is designed to provide opportunities for McGill University students planning to travel for global health projects. Students have access to a variety of travel awards from McGill Global Health Programs (GHP). The program supports students participating in global health projects internationally or in Canada. Learn more about the award categories here.